happy Monday, I hope your weekend was great! 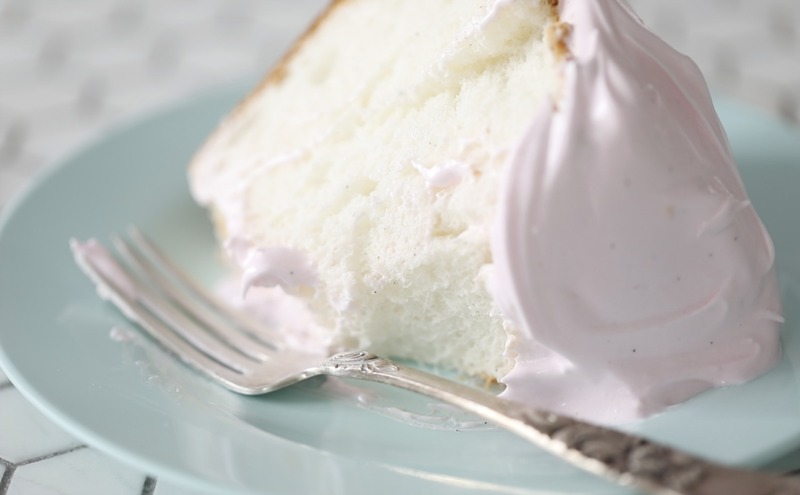 Sharing the recipe for angel food cake, I just adore this deliciously light and fluffy cake. 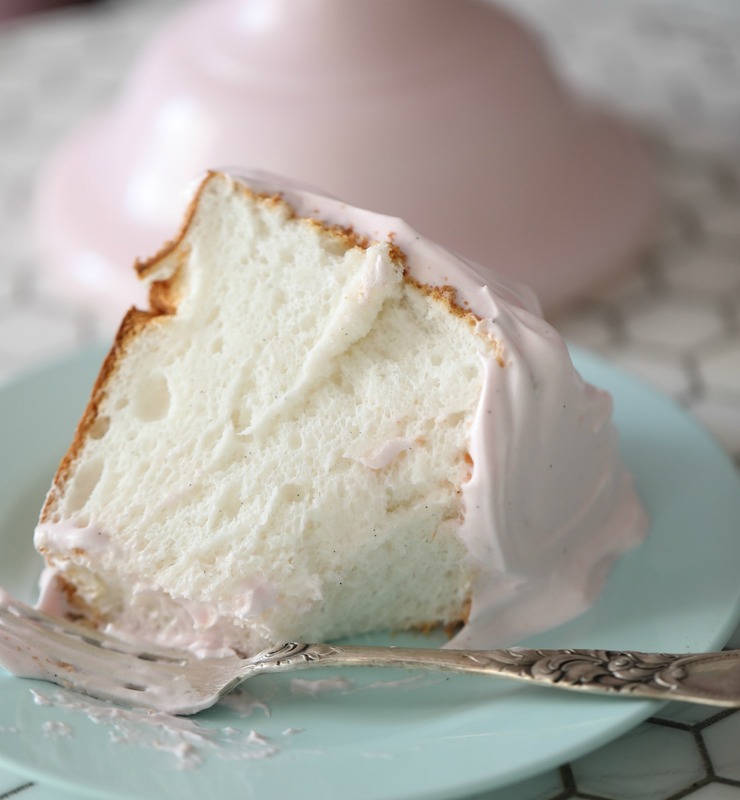 The first time I tasted angel food cake was in 1975 when my American friend made it from a Betty Crocker cake mix. 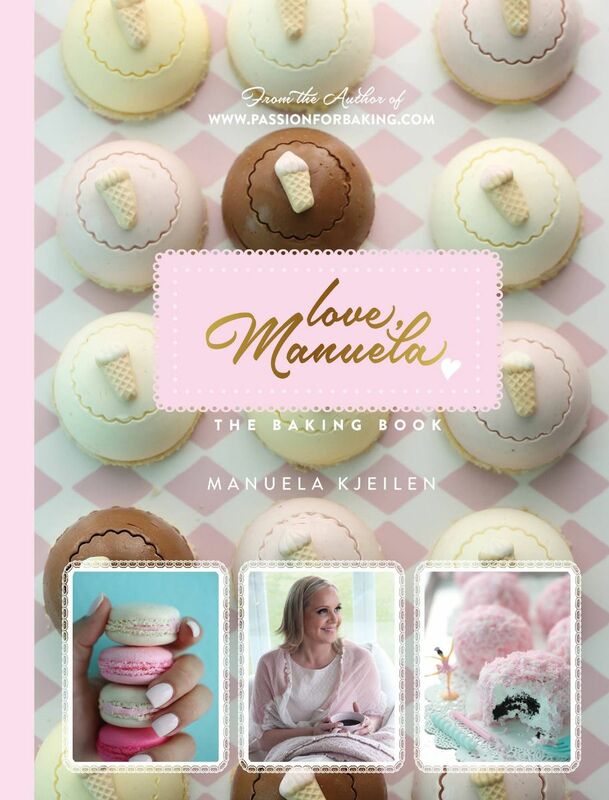 At the time, I fell in love with her cake, but found out that homemade is much better! 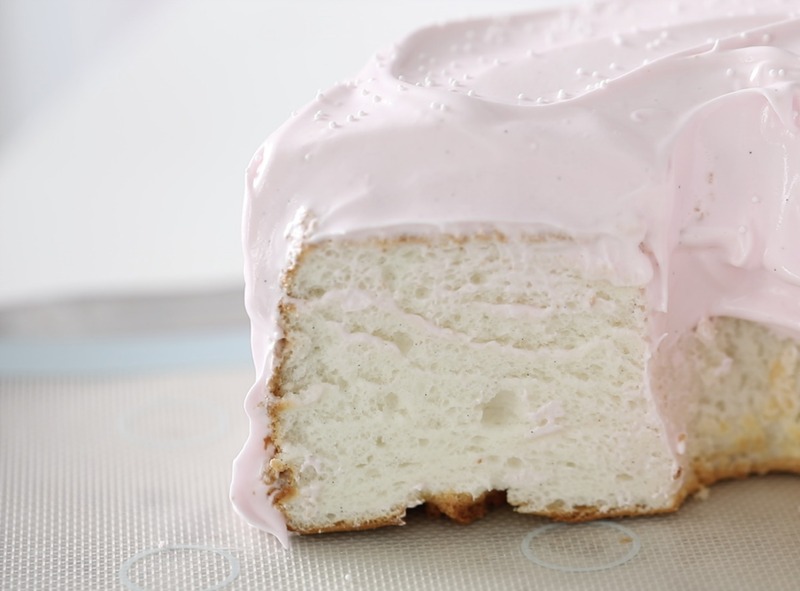 I covered my Angel Food cake with Angel Feather Icing, I love this combination! That said this cake is delicious without any topping! 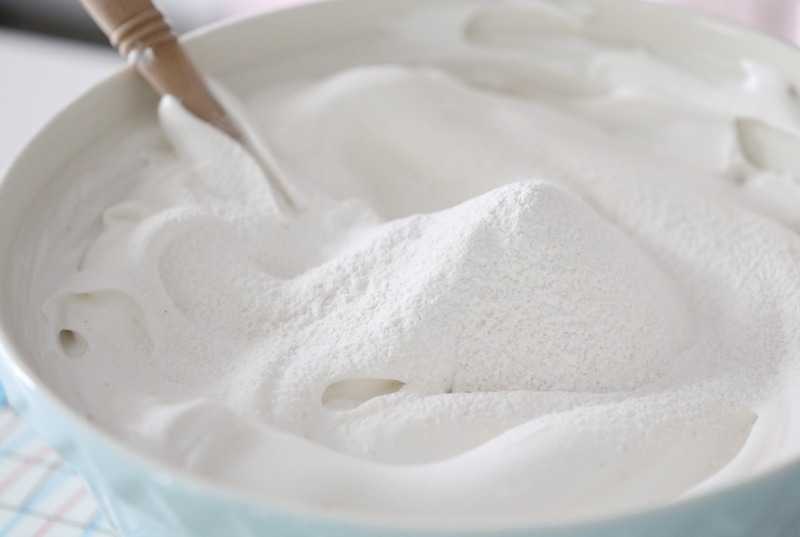 1 1⁄4 CUPS (115 G) CAKE FLOUR, SIFTED OR 100 GRAM ALL-PURPOSE FLOUR + 15 GRAM CORN STARCH. 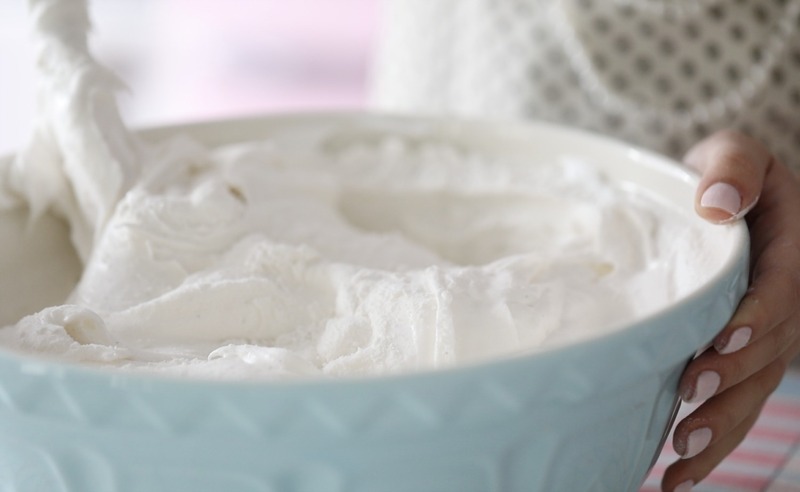 Angel Feather Icing, get the recipe →here. Preheat the oven to 350°F (180°C). Arrange oven rack to the lower third of the oven. Sift together the cake flour and salt, then set aside. 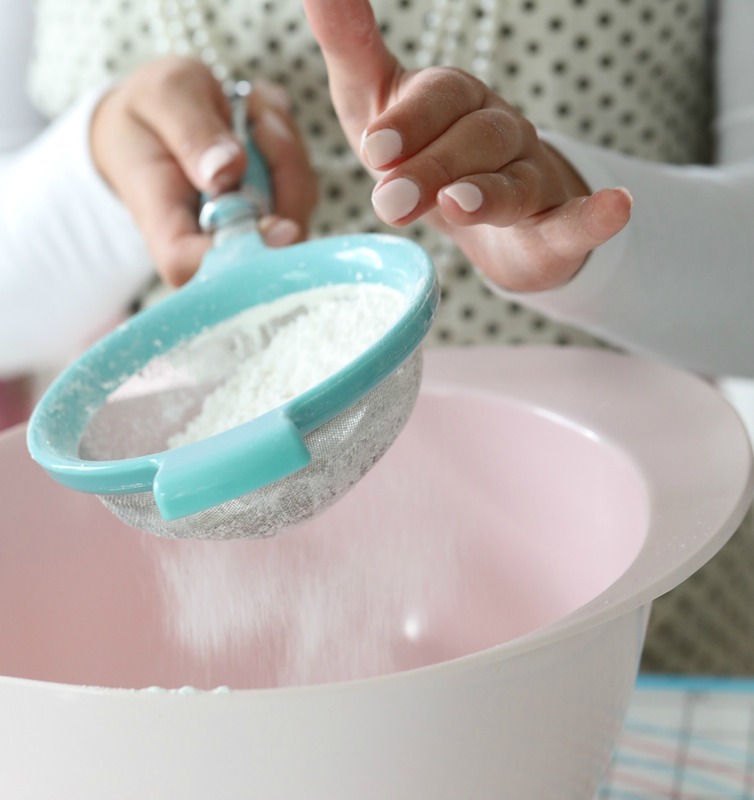 If you are using all-purpose flour plus corn starch, sift it at least 5 times. 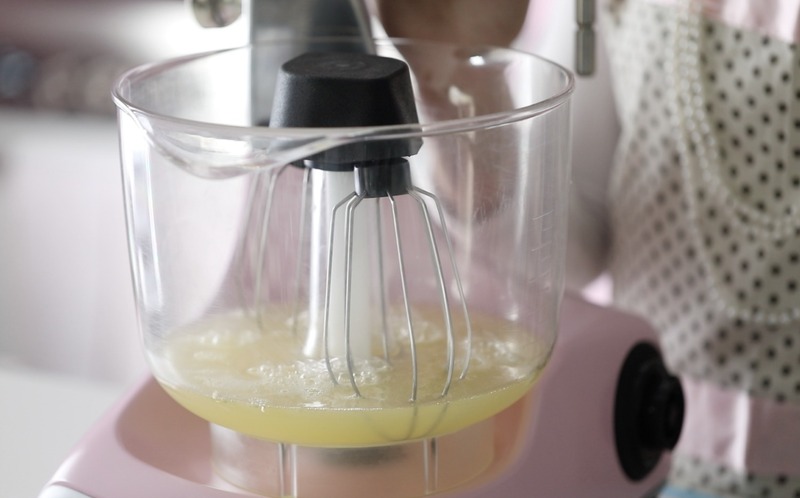 Wipe a stainless steel bowl and the whisk attachment, of a standing mixer, with a paper towel, moisten with lemon juice. 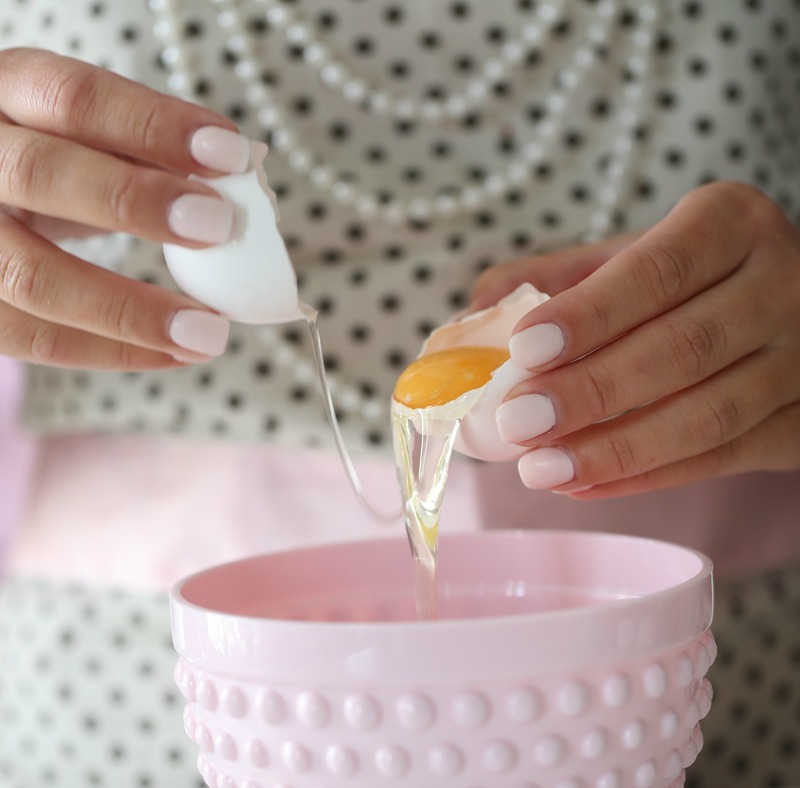 This step is done to eliminate any trace of grease, which would hinder the egg whites from stiffening. 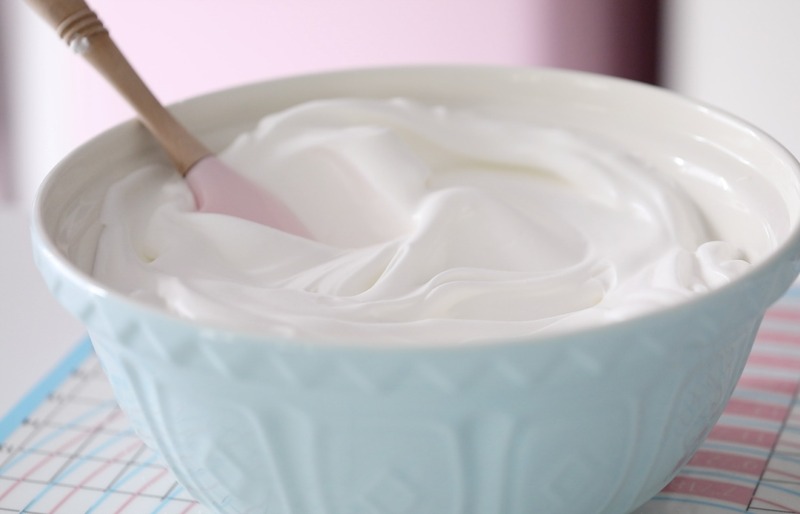 Place the egg whites into the bowl and beat on low speed until foamy, about 30 seconds. 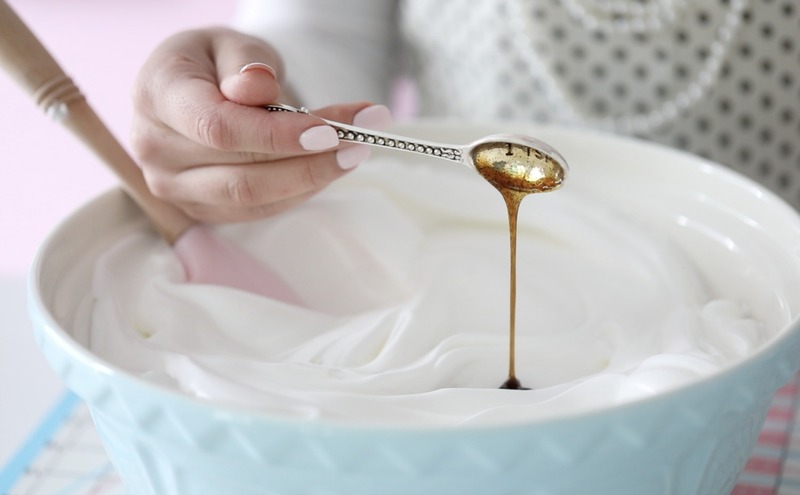 Add lemon juice or cream of tartar; continue on the low-speed beat until soft peaks form, about 1 minute increasing the speed to medium adding the superfine or granulated sugar, one spoonful at a time. 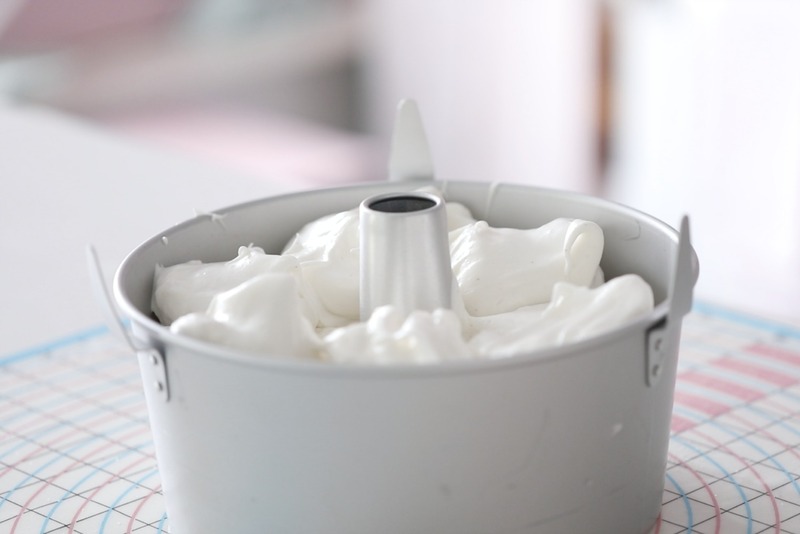 Beat on medium speed until stiff peaks forms, this takes about 2 minutes, do not overmix at this stage! 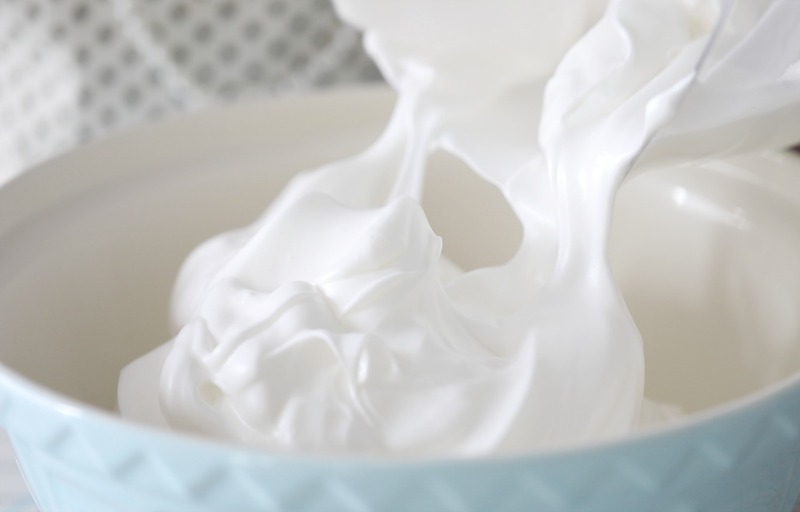 Stop the mixer, transfer the meringue mixture to a large, wide bowl. Add the vanilla bean paste, and then combine carefully with a silicon spatula. 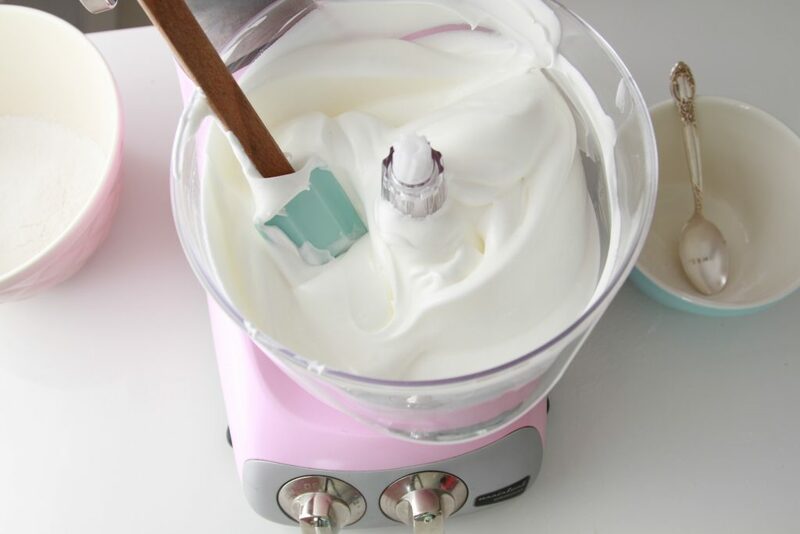 Sift 1⁄3 of the flour mixture into the egg whites and carefully fold in with a spatula. Repeat twice with the rest of the flour, folding very gently after each addition. 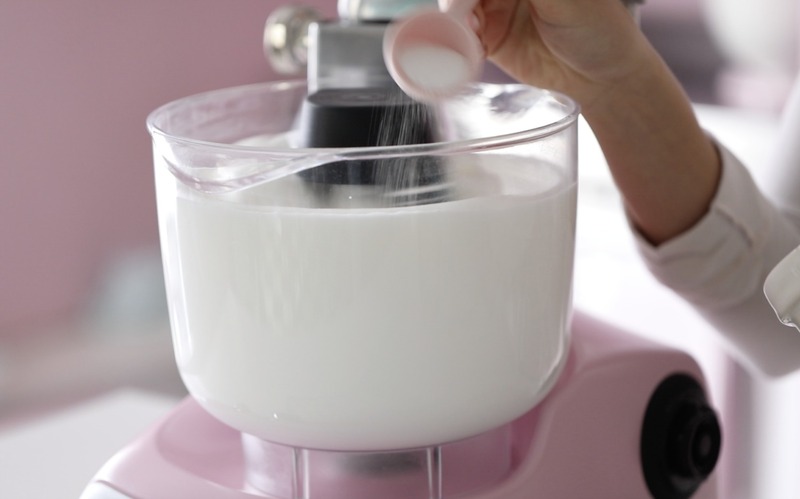 Be careful not to deflate the batter too much by over mixing. Scoop the mixture into an ungreased angel food cake pan (I use an ice cream scoop for this), then move a knife through the batter to remove any air pockets. Bake the cake on the lower rack of the oven for 35-40 minutes, until the cake is golden and springs back when lightly pressed. 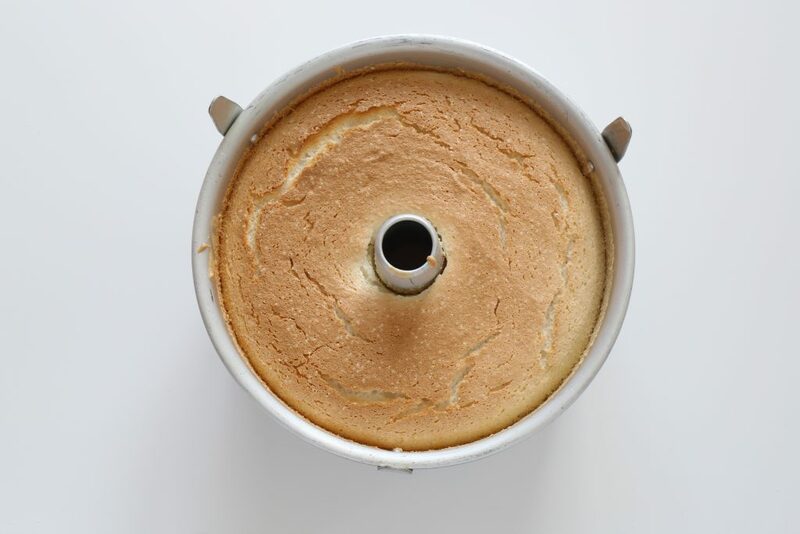 Remove the cake from the oven and immediately turn upside down onto the pans cooling legs, if using an angel food cake pan. 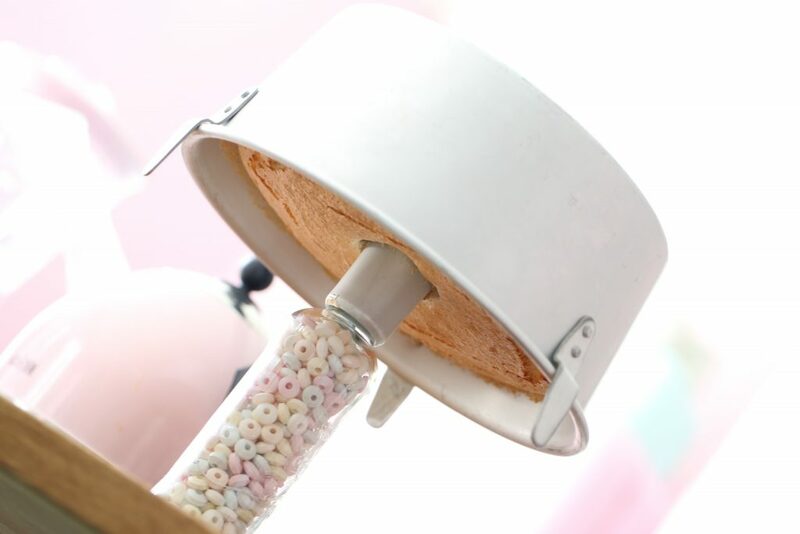 Or you can turn the pan upside down and place over the neck of a soda bottle. Let cool in the pan for at least 1 hour. 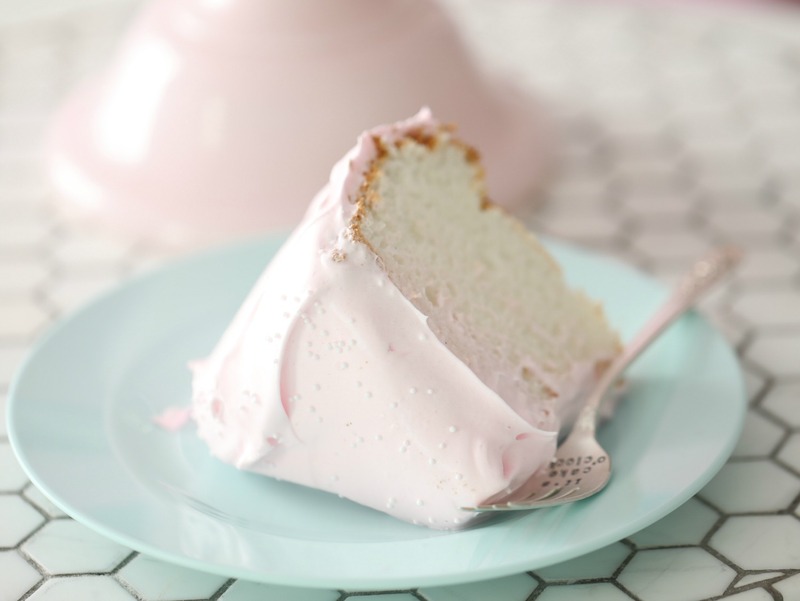 Run a knife around the inner and outer edges of cake to remove it from the pan. 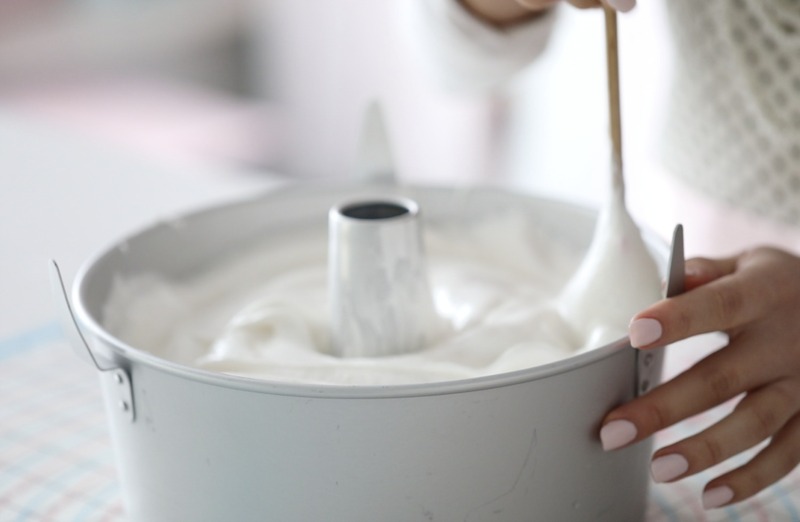 Make Angel feather icing, get the recipe →here. 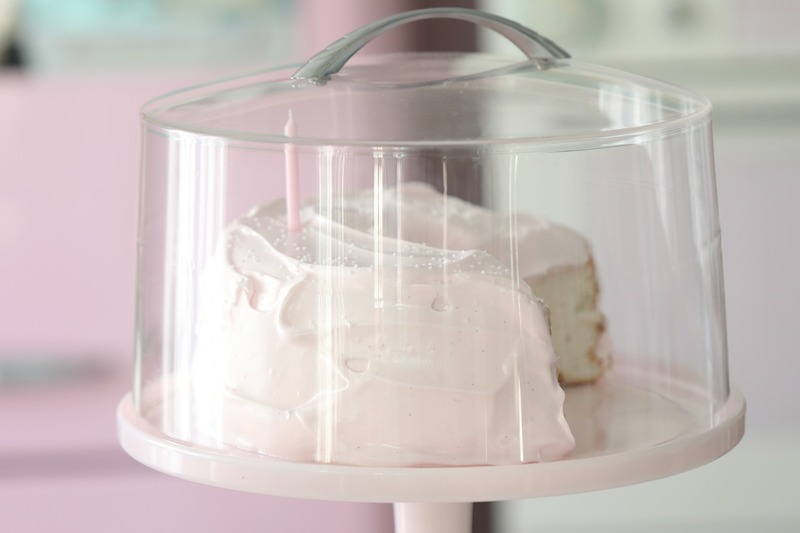 Scoop the angel feather icing on top of the cake and use a metal spatula to spread the frosting from the top down. 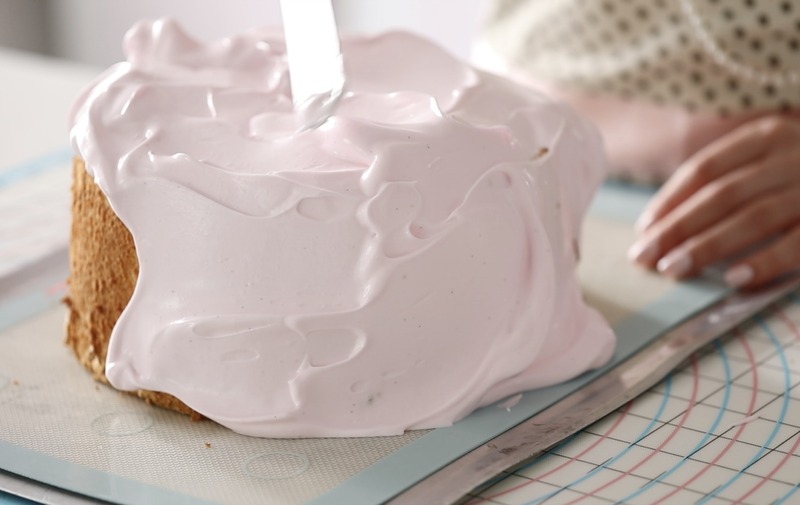 When you slice the cake it is best to use a serrated knife in a gentle sawing motion.